Teen fiction published by Egmont UK Ltd. The Wave Runner is the first book in an exciting, fantasy-adventure trilogy for middle grade readers. 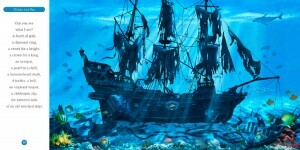 Mr. Meyer meshes an exotic Caribbean setting, dangerous, swash-buckling pirates and intriguing fantastical creatures to create an exciting tale. We follow the story of Jolly, a 14 year old polliwiggle (someone who can walk on water). Jolly could be the last surviving polliwiggle and is certainly a key to to defeating evil forces that threaten the Caribbean. Be warned, the ending of this book leaves many questions unanswered and will draw readers to (Part 2) The Shell Magicians like pirates to treasure. 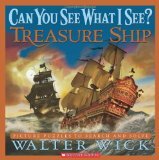 Arr ye looking for a fun pirate picture book, me hearty? 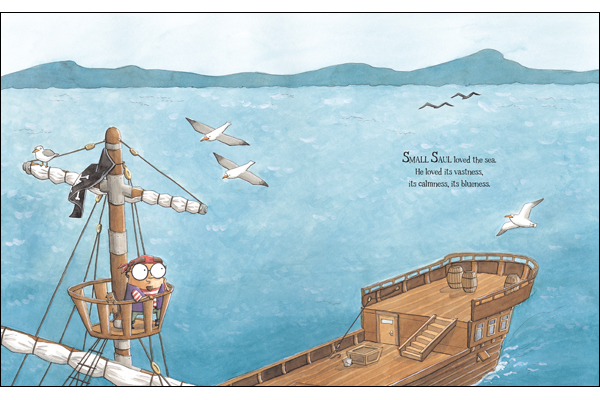 Saul knows that he is meant to sail the seven seas but he’s not quite tall enough to be a sailor. The next best alternative is to become a pirate. Saul completes his pirate training and earns his diploma but is hard-pressed to find a crew to join. “Even though Saul was small, it looked like no one had room for him…” When he is finally invited to join a pirate ship calledThe Rusty Squid, he is excited to find ways to contribute. Unfortunately, it is not long before the captain and crew understand that he is not a typical pirate. “It didn’t take long for the other pirates to notice that something was different about Small Saul.” He knows how to garden and bake and is rather good at decorating. He decides to get a tattoo but bunny tattoos don’t intimidate anyone. 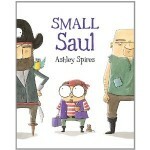 Great for children who love pirates and also for children who will benefit from a boost of self acceptance. Small Saul is a treasure.